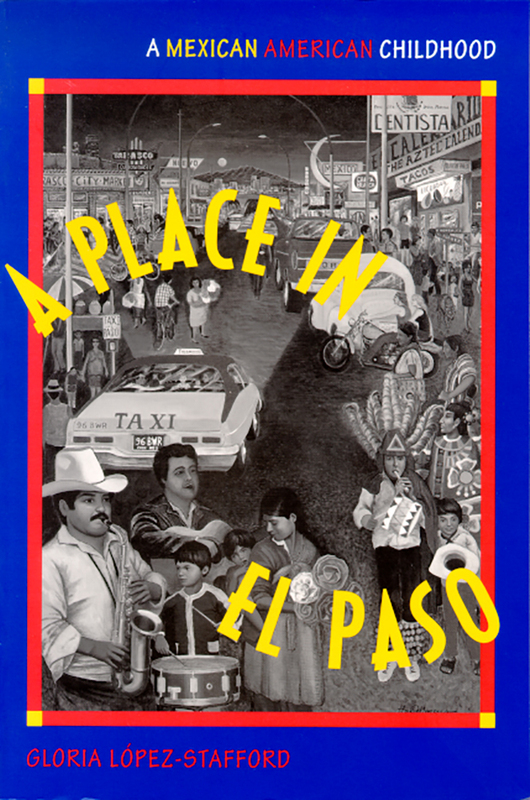 This memoir of growing up in El Paso in the 1940s and 1950s creates an entire city: the way a barrio awakens in the early morning sun, the thrill of a rare desert snow, the taste of fruit-flavored raspadas on summer afternoons, the "money boys" who beg from commuters passing back and forth to Juárez, and the mischief of children entertaining themselves in the streets. López-Stafford shows readers El Paso through the eyes of Yoya--short for Gloria--the high-spirited narrator, who is five years old when the book begins. Yoya is a survivor. Her young mother has died, leaving her in the care of her much older father, who tries to provide for his family by selling used clothing. Her brother Carlos, Padre Luna, and a community of children and women assume responsibility for Yoya, but like the inexplicable loss of her mother, unexpected changes separate her from her beloved barrio. The search for su lugar, her place, becomes a search for identity as Gloria seeks to understand her various homes and families.